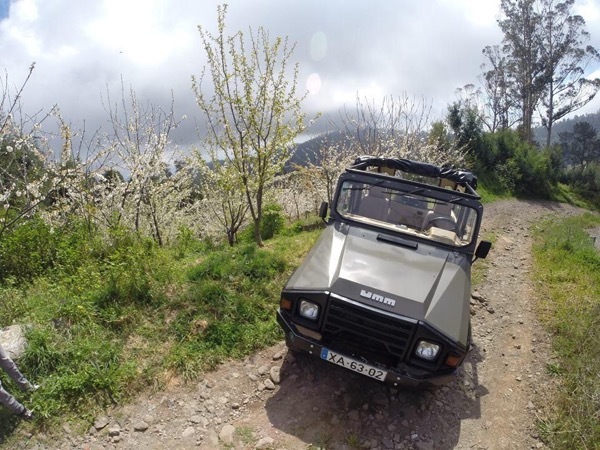 Tour: A litle taste of Madeira! One of the top tours over the years. Wow. A 1950 jeep-like 4X4 with facing rear benches and a canvas top to so you can stand up. (Some fitness required.) An uncle with a vineyard to display. (Uncles everywhere.) Beautiful sights unavailable to buses. Local bars with local drinks. Lunch at a restaurant no American may have seen before. Conversation and quips that had the 4 passengers in stitches. We would do this tour again, and again. Madeira is also worth the effort.